For two decades, CARIS’ hydrographic production database solution has enabled geospatial data to be managed in a data centric manner, while allowing various types of products to be created and updated from this one data centric source. A large user base of hydrographic offices worldwide has utilized this capability to produce and maintain a large percentage of the world’s paper charts and ENCs. Over time, the advantages of deriving products from one source has led to the introduction of more product types being produced by the system. Expanding from paper charts and digital chart products (such as ENCs and AMLs) to include raster products and nautical publications, such as List or Lights and Notice to Mariners. Autonomous shipping, autonomous survey operations, and IHO’s S-100 and its many product specifications are among the initiatives that will continue the evolution of data processing and resulting services. The challenge is that as the demand and expectations for new data services and products continue to rise, the hydrographic industry is also witnessing the need for production efficiencies. Modern chart compilation software does allow some cartographic portrayal to be generated automatically and paper charts are produced and updated with increasing ease. However, cartographic efforts remain relatively labour intensive, making this an area where high gains in efficiency can potentially be achieved. While there may not (yet) be commonly accepted algorithms and rules for all cartographic decisions, why not utilize the cases where humans are making a decision that an algorithm cannot make, or is not allowed to make. Is this more efficient? One example is text placement. While text, such as light characteristics, can be generated automatically, this is an example of where no commonly accepted automation is ensuring the right placement in all situations. Is the automated position not ideal for navigational concerns in relation to a nearby fairway, or possibly obscuring something significant? When a cartographer makes the decision to override the automated position, that decision should be utilized for applicable products and services. The IHO’s S-101 ENC product specification recognizes the need for cases where humans (still) need to determine the position of the text and allow encoding of textual positions. This is not possible for S-57 ENCs, but something that most believed was needed for paper charts only. If the human decision-making for position of textual labels is also of use for S-101 ENCs, this should be utilized rather than repeating the process. Such cartographic decisions are already employed by the possibility of applying cartographic decisions from one chart to another overlapping chart. However, while CARIS’ Hydrographic Production Database (HPD) allows cartography to be stored with paper chart products, it also allows cartography to be generated and stored with its data centric source. Generated and stored once, data centric, enriching the source data, is used by many products and product types. So, when source data is used for a new product or service, or to update an existing one, the cartography associated with it can be used too. Can Products and their Updates be Automatically Published? There may (still) be a need for human decisions and for overrides of automatic decisions, but by centralizing such work, less work is needed during production. Human hands and eyes will likely continue to play a role in tasks such as validation. However, with the right mixture of automation results and validation tools to confirm those results (to catch the increasing few cases where this is not the case), the cartographic process will rely more and more on automation. Products being published without at least some involvement, and validation, by humans is not (yet) accepted for navigational products. However, the same source data is being made available through web services utilizing the same cartography and the same IHO INT1 portrayal as used for navigational Safety of Life at Sea (SOLAS) charts. Automatically extracting updated source data ensures the services are providing the latest changes. Figure 2 is an example of web services utilizing the cartography-in-source option. The data is extracted using CARIS HPD Raster Tile Product functionality that automatically generates the raster tiles used by the service from the source data. Of course, this type of work often involves receiving and preparing data for product use. 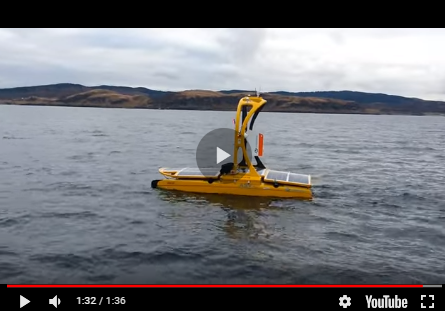 This may, for instance include topographic data from other agencies, or bathymetry from private survey contractors or the Hydrographic Offices’ own survey department. Preparing bathymetric data for nautical charts is notoriously time consuming when done manually. Receiving bathymetry occurs frequently and accuracy is of highest importance for safe navigation, while the generalization typically will be needed for multiple chart scales. Traditionally, automatic contouring has not been widely accepted, and taking a manual or semi-manual approach to compilation has for many been the norm. Sophisticated algorithms for surface smoothing, such as the Rolling Coin algorithm developed in conjunction with the Finnish Transport and Communications Agency (Traficom) and provided in CARIS BASE Editor software, are producing results that are appropriate and accepted for use in charts. If one considers the bathymetry compilation process in context of emerging products such as high-density bathymetric (bENCs) and S-102 Bathymetric Surface overlays, the results from automated algorithms and methods is the only option. Acceptance of these results for other chart products is inevitable. Figure 3: Automatic process generating cartographically generalized contours, plus selecting soundings, for one or more scale levels using CARIS Process Designer. PRIMAR, one of the world’s Regional ENC Coordinating Centres (RENCs) providers, the Canadian Hydrographic Service (CHS), and Teledyne CARIS are currently executing a pilot project aimed at leveraging cloud distribution for geospatial products. The project is demonstrating the ability to serve S-102 Bathymetric Surface products. S-102 is just one of the S-100 product types, but one that holds enormous potential for many purposes. Other S-100 products, e.g. S-101 ENCs, are natural candidates to follow. The cloud project is demonstrating how a service can be established from source, providing continuously updated data. The distribution of S-102 products is also an example of utilizing data for multiple purposes as it is applying the same bathymetric data that ends up being used to derive the contours and soundings in ENCs and paper charts. Artificial intelligence (AI) is not yet a mainstream part of the chart production process. In its survey processing tools, Teledyne CARIS is implementing a deep learning noise classifier for removing noise automatically rather than manually. The full potential for application in cartographic purposes is still being determined, however, this type of capability is encouraging in terms of continued automation. The adoption of CARIS HPD by agencies throughout the world has long proven the benefit of a data centric production environment that reduces redundancy by continuously seeking new and innovative ways to optimize production. Through increased automation and optimized interactive tools, more data is being utilized more efficiently for more products. There has been a shift from product-oriented-processes, to data-oriented-processes, while still retaining human oversight and some interaction in the process. Cartography in source is allowing more data centric management and processes with the possibility of automatically providing data through web services utilizing the latest cloud-based approaches. Automatically generalizing contours according to the high standards of nautical charts and utilizing AI to clean survey data, are examples of automation possibilities that have the potential to streamline the cartographic process. Will Blockchain Drop Anchor in Hydrography?